I am deeply grateful to announce I was awarded a 2018 Alexa Rose Foundation grant in the amount of $2,500 toward my proposed 8-day equine vision quest in Costa Rica, called "Journey into the Soul: Horses and the Medicine Wheel." The Foundation received 281 applications requesting over $1.0 million in grant funding. They ultimately granted awards to 67 local artists totaling $150,000. Wow, just wow. Thank you to everyone involved! The mission of the Alexa Rose Foundation is to further the creative work of individual artists. In deciding what to propose for a grant award, I found the courage to ask for the thing that truly would propel me forward as an artist more than anything -- overcoming fear. The following is my full response to the questions in the application. Who are you as an artist? What inspires you? 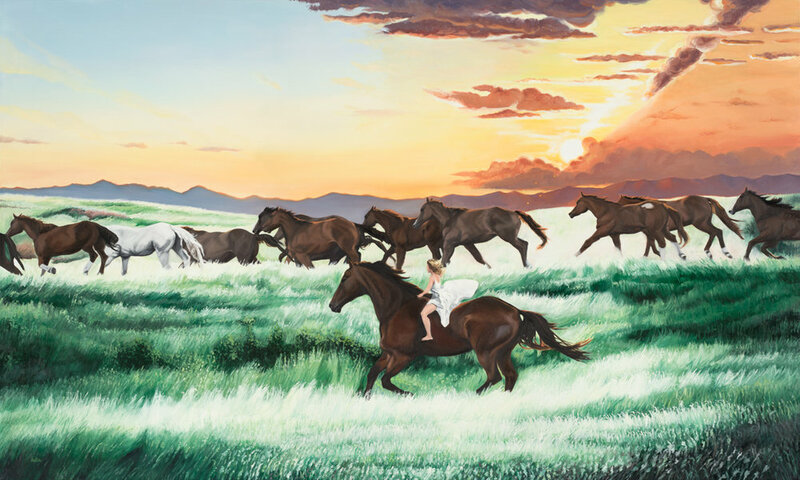 Who I HAVE BEEN: I am a realist oil painter paying homage to sustainably grown foods, nostalgia and life in the West. I want viewers to feel present with my subject matter and believe it exists, like you could reach into the canvas and feel the texture of a bison or squeeze a lemon. I love making viewers giggle at my personified still life paintings with their irreverent titles. I paint landscapes to capture moments when nature enraptures us with a power that is otherwise fleeting. For what opportunity would you like to use this grant? How will this opportunity make a difference in your creative practice and life as an artist?